As of LATE Saturday night-the Senate approved their version of the tax reform bill. It's hard to keep track of all the last minute changes. This article does a good job of breaking down the differences between both the house and senate versions of the bill, as well as showing a comparison with current tax laws. 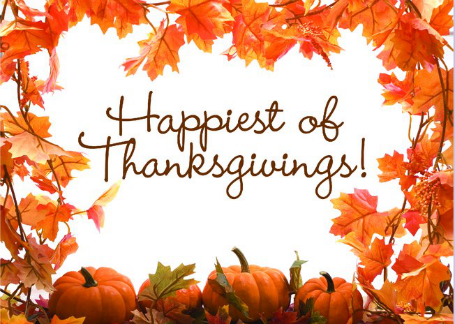 Happy Thanksgiving to all of you, from all of us here at BBI Accounting! You should think about booking an appointment soon! Jerry is filling up very fast, and we do not want to miss you. Remember, if you have come to BBI before, you may drop off paperwork ahead of time. We can then set a follow-up appointment to finish you up. This way makes completing your taxes quick and easy. We call you if we have any additional needs, to be sure to minimize your tax liability, and to be ready to submit when you come in for your appointment. If you received a letter from us with a checklist, review it to see if you have all the documents that are still applicable. Please feel free to call us with any questions! Jerry spoke to a large group about the many changes in the 2015 tax code. It was a privilege and an honor to help them better understand the financial needs of the LGBT community. Jerry went thru a rigorous security clearance and search at the entrance to the facility. He was expecting a modest group in a conference room, and it turned out to be an auditorium with many engaged attendants! It was a great experience to share the wealth of knowledge Jerry has on helping the community with their tax needs for over 10 years. He discussed the impact of marriage on taxes, the needs of the small business owner, and answered questions. 2015 brought many changes, and keeping up can be difficult. Jerry strives to get as much information out there as possible, so people may be better informed. Here at BBI, we spend time making sure we keep current, and have many printed materials that suit individual needs. We will be sharing much of the same information presented by Jerry here on the blog, and on our Facebook page www.facebook.com/BBIAccounting in the coming weeks.